age 65 and older, has Alzheimer's and nearly half over 85 have this devastating disease. People in their 30s and 40s are coming down with this disease. Scientific evidence shows that targeted nutritional therapy can be used to fight a variety of diseases affecting the brain, including Alzheimer's, arteriosclerosis, and chronic malnutrition. Dementia and Alzheimer's disease are specifically linked to an increased level of homocysteine, an amino acid metabolite associated with decreased levels of folate, B-12 and pyridoxine. The book "Smart Nutrients" provides a detailed account of the most important breakthrough nutrients currently being studied. These nutrients include niacin and vitamin C, as well as minerals such as zinc, chromium and many others -- each of which plays a crucial role in the maintenance of mental health and the treatment of specific diseases. The book "Smart Nutrients" written by medical researcher Dr. Abram Hoffer and holistic health writer Dr. Morton Walker presents a program of diet and supplementation specifically developed to prevent or reverse senility. Exposure to Heavy metals, such as Aluminum, is associated with dementia and Alzheimer's Disease. Alzheimer’s disease is the most common cause of dementia; it accounts for 64 per cent of all dementias. Dementia is most frequently caused by atherosclerosis, while Alzheimer's disease, specifically, is caused by the deposition of an abnormal protein --- beta amyloid --- in the brain. One study (McLachlan, et al. 1996) found a 250% increase of Alzheimer's disease in people drinking municipal water with high aluminum levels for 10 years or more. One drug used to treat Alzheimer's (desferrioxamine) shows a significant benefit in slowing progression of the disease. This drug chelates aluminum. For anyone diagnosed with Alzheimer's Disease, a hair analysis is recommended to test fo heavy and toxic metal toxicity. If your physician has not suggested this test, it is really important to request it. Alternatively, the relatively inexpensive test (about $65) can be ordered from various sources, one of which would be by calling this number: 1-800-376-9288 - order a hair mineral analysis kit. An excess of ANY toxic metal should be chelated with the guidance of a physician. In most cases, this can be accomplished by taking an oral chelating agent (the agent will differ depending on which toxic metal is accumulated). For severe toxicity, IV chelation is sometimes more expeditious. Too little of one type of cholesterol has been linked to memory loss and Alzheimer's disease. Scientists studied more than 3,500 civil servants to investigate how levels of HDL or "good" cholesterol were associated with memory. HDL cholesterol can influence the formation of the beta-amyloid "plaques" that are a distinctive feature in the brains of Alzheimer's patients. After the five-year study period, the researchers found that people with low levels of HDL were 53 percent more likely to suffer memory loss than people with the highest levels of HDL. Those with impaired memory are at an increased risk of developing dementia later in life. Someone in your family has Alzheimers disease, and you have been gathering info on Alzheimers disease to try to help you make decisions about what to do next, but everything you find is so scientific and complicated. What can you tell your kids to make them understand why their grandfather or uncle does not recognize them anymore? The info on Alzheimers disease below is aimed at children and families, so read it together. Alzheimers disease is a form of a mental disorder known as dementia. Dementia is a brain disorder that seriously hampers the brains ability to process rational or normal thought and inhibits the daily activities of its sufferers because of this. Alzheimers disease, therefore, affects the part of the brain that is responsible for thought, memory, and language. Alzheimers disease is one of the leading causes of death in America. The German physician Alois Alzheimer first identified this disorder in 1907. This disorder is a serious illness that affects the memory ability of the brain, capability of learning, making rational decisions and capacity to function routinely. Alzheimers disease robs millions of people each year of their memories, their personalities, and the ability to complete daily activities. For the longest time, it was believed that nothing could be done to prevent this awful disease; that it was simply something that people had to look forward to when they reached their golden years. However, new research indicates that there is a number of ways to prevent Alzheimers disease. The hallmark sign of Alzheimers disease is the loss of memory. Generally, those 65 years of age or older, begin to concern themselves with this disease at the first episodes of forgetfulness. Although forgetfulness is a sign of Alzheimers disease, it is important to note that there are other signals that may herald the onset of this malady. Therefore, being knowledgeable about Alzheimers, through exhibited signs, and is paramount for our loved one’s health as well as our own. Hearing the news that a family member has received an Alzheimers diagnosis can be an emotionally devastating moment in anyones life. However, before the Alzheimers diagnosis can be given to the patient and their family, the patient must undergo a variety of laboratory tests, such as medical assessments and laboratory measurements. There is no single test existing that will categorically give the Alzheimers diagnosis. With this proactive stance, diagnosticians have been able to devise a set of Alzheimers disease testing tools that can detect symptoms of Alzheimers disease in its earlier stages. As of yet, there is no single diagnostic test that is able to determine if a person has Alzheimers disease, but the battery of testing that is available makes it possible for physicians to diagnose it with about 90 percent accuracy. Alzheimers disease testing can take anywhere from one day to several weeks to ensure accuracy and proper diagnosis. An Alzheimers test is important to ensure that the person is not just going through the usual memory loss associated with age; however, sometimes an Alzheimers test is not necessary. Alzheimers disease doesn’t just affect a persons memory; it can make people see things that aren’t there, and even send them into screaming fits. If you think a loved one is starting to become senile or experience other symptoms of dementia, you may want that person to undergo Alzheimers testing. Unfortunately, there is currently no definitive test for Alzheimers disease that a person can undergo. The only way doctors diagnose Alzheimers with 100% certainty is through physical examination of the brain after the person has passed away. Rather than Alzheimers testing, what you want to look for is some type of psychological and behavioral screening coupled with extensive tests to rule out other types of dementia. Living with Alzheimers can be a crippling experience for both the disease sufferer and the family that is involved. There are many moments of misunderstanding or confusion for most and the symptoms can become frustrating and difficult. The loss of memory and other associated factors can often cause immense separation in families and can create a nervous tension on relationships that is not necessary if suitable information is available and utilized by all parties involved. Finding in-house Alzheimers help should not be an emotionally laden issue for the entire family. Tackling this need in an organized way, from evaluating to planning, is the key to making in-house Alzheimers help feasible. First, you should sit down and evaluate the needs of the family caregiver and the patient. From there, creating a job list and a set of guidelines becomes easy to make and follow. Caring for someone with Alzheimers can be a daunting task. You will need all of the support you can get, along with the latest and most significant Alzheimers info and research. It is a confusing time, and the more you know, the more confident you will feel in your ability to give your loved one the best possible care and support. It is also important to build a support network that will help you to avoid the common problems associated with caretaker burnout. 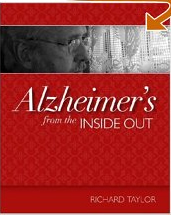 David McFarlane is a proud contributing author and writes articles on alzheimers. You can visit his site at http://www.alzheimers-world.com. Acetyl-L-carnitine (ALC) helps deliver long-chain fatty acids into the nerve cells' mitochondria for ATP production and acts as a potent antioxidant. Recent research suggests that levels of ALC decrease with age, which may lead to decreased ATP production and free-radical stress in neurons, potential factors in the loss of mental acuity and age-related dementias. Several studies have indicated that ALC supplements delayed the progression of Alzheimer's disease and improved energy creation in the brain. (500 mg to 2 grams daily may be recommended by health practitioners). N-acetyl-L-cysteine (NAC) is the precursor of glutathione, a significant antioxidant and a key detoxifying agent in the liver. Research suggests that NAC levels may drop with age, which could lead to oxidative stress within brain cells, a conspicuous suspect in neurodegenerative disorders, such as Alzheimer's and Parkinson's. (250 mg to 750 mg daily may be recommended by health practitioners). B12 is critical in the production of red blood cells and maintaining nerve cell's myelin sheaths. (Recommended dosages are usually between 10 mcg to 500 mcg per day - discuss with your doctor). Vitamin D (the "Sunshine Vitamin" : This antioxidant may mitigate free radicals in red blood cells, possibly maximizing their nutrient-carrying capacity. Vitamin E: This well-known antioxidant significantly slows the progression of Alzheimer's and stroke-related dementia. However, research shows that overdoing it with too much vitamin E does more harm than good. (Recommended dosages are usually between 30 mg to 400 mg per day - discuss with your doctor). (Also has application in Cancer Treatments) Note: New research shows that eating foods rich in Vitamin E (such as nuts, seeds and vegetable oils) is far safer than taking supplements. Green Tea - Please refer to "Memory Loss"
Fish: Omega-3s are found in cold-water fish, such as salmon, sardines and mackerel. Omega-6s are found in seeds, nuts, some vegetable oils (including soybean, safflower, sunflower and corn oil), egg yolks and meats. Both omega-3s and omega-6s are essential fats your body needs to function properly. However, because omega-6s are used liberally in many processed and fried foods, people often get far more of these fatty acids than they do of omega-3s. Some researchers suspect that the resulting imbalance in these two kinds of fatty acids may have something to do with the incidence of degenerative neurological diseases, among other ailments. To achieve a healthier balance, get plenty of omega-3s by eating fish—especially cold-water fish—at least twice a week. At the same time, limit intake of omega-6s in processed and fried foods. Coffee: A Finnish study found that those who drank coffee at midlife had a lower risk of developing dementia or Alzheimer’s disease in late-life than those who drank no coffee at all. Those who drank three to five cups of coffee a day lowered their risk by 65 percent. Coffee-drinking was categorized into three groups: low (0 to 2 cups daily), moderate (3 to 5 cups) and high (more than 5 cups). Tea-drinking was categorized into two groups: those not drinking tea and those who drank at least one cup daily. While all coffee drinkers had a lower risk of dementia and Alzheimer’s disease than non-drinkers, those who drank moderate amounts of coffee lowered their risk by a surprising 65 percent. Drinking tea had no impact on the risk of developing dementia.